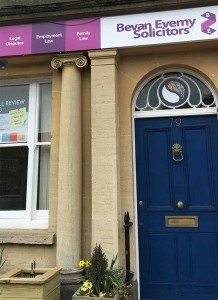 Bevan Evemy Solicitors’ Head Office is in Chipping Sodbury, Bristol, where you can arrange a meeting with one of our solicitors. We also regularly meet clients from the surrounding areas, so please don’t hesitate to get in touch. The main door is always open, where our receptionist will greet you. Once you’re in reception there is provision for you to have a complimentary free tea, coffee or a cold drink and maybe a snack before your appointment. If your appointment is outside of reception hours (Mon-Fri 9 to 5), please just walk into reception, ring the bell and someone will come to meet you. We have our own exclusive meeting room in the building along with our new spacious offices. Arrange a meeting with the following types of solicitors at our solicitors office in Chipping Sodbury. 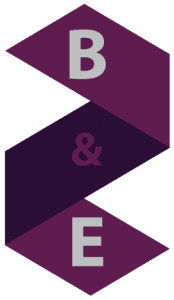 Our family solicitors and employment solicitors are located in the Bevan Evemy Solicitors head office in Chipping Sodbury. If you’re looking at the war memorial from the High Street, our office is nearby on the left hand side. Our office is the door to the right of NatWest Bank. There is usually plenty of car parking on Chipping Sodbury High Street & Broad Street around our Chipping Sodbury office. There is also a long term car park as an alternative to street parking, behind St. John the Baptist Church, off Wickwar Road, which is a 3 minute walk away.